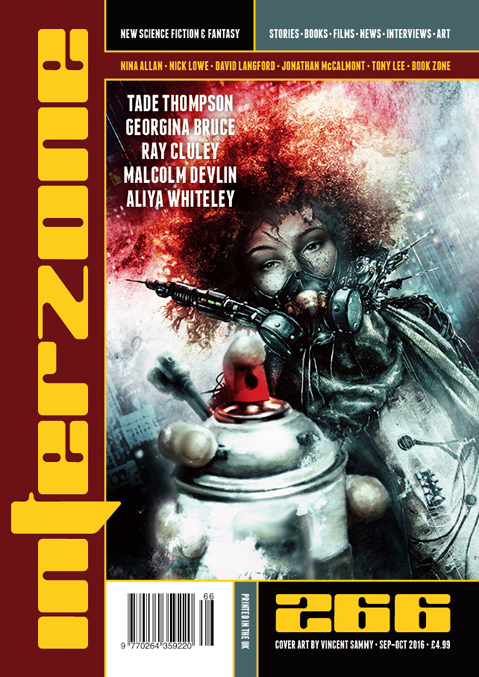 "Sideways," by Ray Cluley [bio] (edited by Andy Cox), appeared in Interzone issue 266, published on September 12, 2016 by TTA Press. Pro: Judging from the book The Right Stuff, this story captures the atmosphere of the 1950s test pilots pretty well. Brave young men who died like flies testing supersonic aircraft in the days before computer modeling. There's excitement and tension (even though we already know Sam will die), and the story does a great job of showing us what sort of man Tom was as a pilot and what sort of man he eventually became. Con: The SF angle in the story is very weak. From the Arrow, Sam saw what looked like aliens, and, apparently, they killed him. But nothing came of it, no one followed up--even after half a century. You can read the story as mainstream if you assume Tom has delusions. The fact the he hints that he still talks to Sam and that he gives two different accounts of Sam's death reinforces this.